Mahendra Singh Dhoni, also known as MS Dhoni, is India’s most successful cricket captain ever, and the only skipper in the world to have won all ICC trophies. He has led the Indian Cricket Team to major tournament wins, such as 2007 World T20, World Cup 2011 and Champions Trophy 2013. India’s most charismatic captain, Dhoni, also took the Indian team to the top of the ICC Rankings in both Tests and ODIs formats. Dhoni made his Ranji Trophy debut for Bihar in the 1999-2000 season as an eighteen year old, and was impressive in his first game as he struck an unbeaten 68* against Assam. His maiden ton came in the 2000-01 season against Bengal but that was not enough to impress the selectors as he struggled to perform consistently that season. The future Indian captain was finally discovered by BCCI’s TRDO (Talent Resource Development Wing) PC Podar, an ex Bengal skipper after Dhoni impressed him with his performance for Jharkhand in 2003. Dhoni was in picked for India A’s ODI team tour to Zimbabwe and Kenya in 2003-04 season, where he was more than impressive helping the team beat arch rivals Pakistan in a Tri Series tournament. He scored 362 runs in seven matches and the same was acknowledged by the then skipper Sourav Ganguly. Dhoni finally made his ODI debut in 2004-05 season, when he was picked for the Bangladesh series. He had a very bad start to his career getting run out for a duck. Dhoni finally a made a mark on the International circuit when in his second series against Pakistan, he scored 148 off 123 balls, which was a record for the highest score by an Indian wicketkeeper, a record which he re – wrote when he smashed 183 against Sri Lanka in 2005. This also helped him gain his place in the test side as he made his Test debut in the same series against Sri Lanka. He was quick to grab the opportunity scoring his maiden fifty in his second game and in then scored his maiden ton in the next series which was the highly anticipated India’s tour of Pakistan. India had a very disappointing World Cup campaign in 2007, failing to qualify for the second round. This came as a shock to the entire nation, and with the seniors not selected or opting out of the inaugural 2007 Twenty-20 World Cup, the reigns were handed over to MS Dhoni to lead the side in South Africa. Nobody gave India a chance with many saying that the team is in South Africa just to add up the numbers, but this started a new chapter in Dhoni’s life as he led the side remarkably and achieved the impossible task of winning the cup, India’s biggest cricket win since the World Championships in 1985. He then went on to become the ODI captain of the Indian team for the seven-match ODI series against Australia in September 2007. He made his debut as full-time Test captain of India during the fourth and final test against Australia at Nagpur in November 2008 replacing Anil Kumble who was injured in the third test and who then announced his retirement. Dhoni had previously captained India on a stand-in basis against South Africa and Australia in 2008 and 2009 respectively. It was under his captaincy that India climbed to No. 1 in the ICC Test Rankings in December 2009. After that he managed to lead India in a series-leveling world championship of Tests against the South Africans in Feb 2010. In between all this came the small matter of IPL, where the Indian skipper was the most expensive player bought in IPL 1 auction by the Chennai Super Kings. It was a decision which paid dividends as Dhoni led Chennai to back to back titles in 2010 and 2011, which was also accompanied by the Champions League win in 2010. The biggest achievement in Dhoni’s career and undoubtedly in India’s cricketing history came when he led the side to a victory in the 2011 World Cup Finals. The entire nation broke into a frenzied celebration amid joyous scenes marked by nationalistic fervor. Praises for Dhoni flew in from all segments with Sachin Tendulkar describing him as the best captain he has ever played under. After winning the 2013 ICC Champions Trophy, Dhoni became the first skipper to win the world T20 , world cup and now the Champions trophy which has added a gold feather to his wings of achievement. 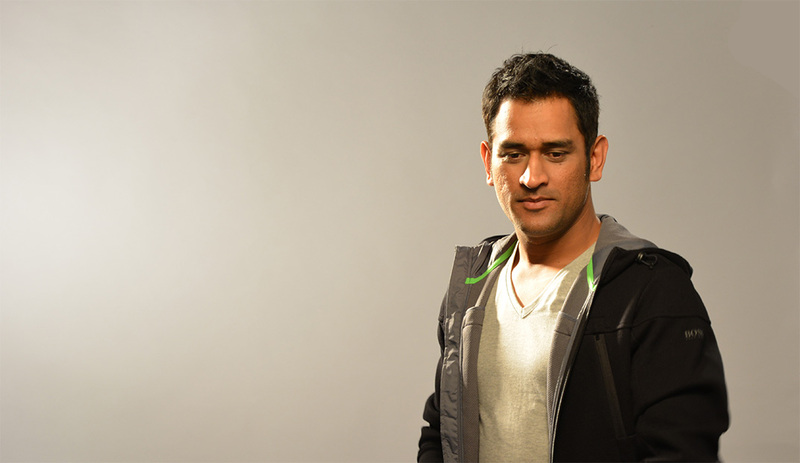 With all these achievements and laurels MS Dhoni is now one of India’s most sought after Brand, endorsing more than 20 brands. But Captain Cool still has his focus firmly on cricket as he sets out to achieve new milestones in Indian cricketing history.